Sequoyah Caverns in Valley Head, DeKalb County, is named for the famed Cherokee silversmith who created the Cherokee alphabet. 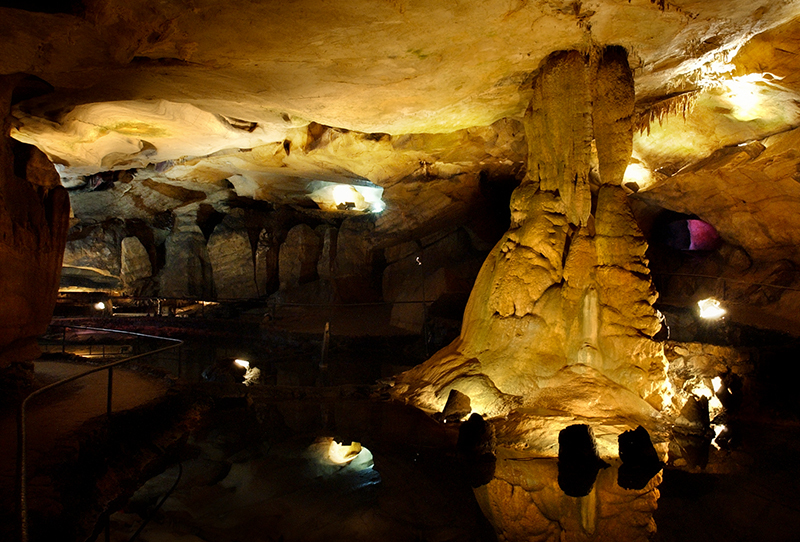 The cave system is known for its underground lakes and pools. It closed to the public in 2013. Courtesy of The Birmingham News. All rights reserved. Used with permission. Photograph by Tamika Moore.